Breakfast, Lunch, Dinner, Formal, Casual, Pickup, or Delivery, we've got you covered. 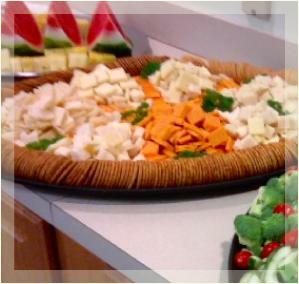 We offer a variety of standard and signature menu items as well as the ability to customize menus and recipes to suit your needs. Our motto is "Realizing your Vision, Exceeding your Expectations." Mouse over the various menus listed below for a brief description of each menu. Click on the tab to download the menu. Menus are in PDF format. Adobe Reader or similar software must be installed to open or print menus. We can also e-mail or fax menus if you email a request or give us a call! 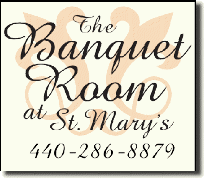 The Reserve House is the preferred caterer for the Banquet Room at St. Mary's.